1. What does the future hold for Matt Jones? 2. What’s going to happen with the Derrick Harvey negotiations? 3. Did the Jaguars unearth some hidden gems on Saturday night? Here we go with some answers. As for Matt Jones, he pleaded not guilty in court in Arkansas Monday morning. Technically, Jones could face jail time in Arkansas, although its unlikely that he would since its a first offense. The league has been tougher on off-field trouble, but since it wasn’t a violent act, the league may not suspended him. He will wind up in the NFL’s substance abuse program, meaning that he could be randomly tested, and his next positive test would result in a four game suspension. Then, there is the team. If he’s found guilty, what kind of discipline will he receiver from the Jaguars? Its clear that the stance the team has taken is one of support. But that doesn’t mean that he would escape discipline. Jones led the Jaguars in catches on Saturday night (with 3) and looked better on several of his routes (although not all of them). His trial is set for October 11, so if he makes the team, he’ll have at least until then to make an impact. An interesting thing happened on Saturday night. Quentin Groves looked pretty good, and Mkristo Bruce recorded 2 1/2 sacks. Who? Bruce is a guy who has bounced around the Arena League and been in a couple of camps before. He once had 14 sacks in a season at Washington State. There’s what I know about him. Oh, yeah, I’ve also been told that he is a good effort guy. And that initially, the Jaguars only brought him in in case Harvey didn’t get signed. Now, it appears that he is in competition for at least a spot on the practice squad and maybe something more than that. 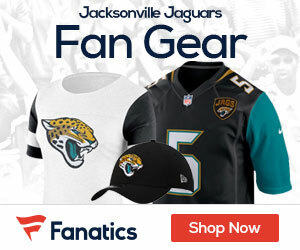 Bruce’s performance aside, the Jaguars appear to be intent on digging in their heels and standing their ground. I don’t expect that Harvey will get much more than $16.5 million in guaranteed money. The Florida Times-Union reported that the two sides spoke for the first time in a week. It doesn’t sound like Harvey’s agency is in too much of a hurry. Stay tuned. In addition to Bruce, the Jaguars also saw an undrafted rookie flash on Saturday night. Brian Witherspoon was an aboslute blur on kick and punt returns. I believe that he has the tools to be the most electric return man in Jaguars history. Witherspoon did fumble on one punt return, but it was after he got down field in a hurry. There will be a lot of eye on him on Saturday against Miami.